If P.T. Barnum did say, “There’s a sucker born every minute,” he may have been right, because I am a huge sucker for this movie. The Greatest Showman is only superficially about Barnum the man. Instead, it is about the wonder of the fantasy Barnum’s spectacle unrepentantly represented. It is a glorious explosion of singing and dancing, cinematography, romance, and scarves and laundered sheets fluttering perfectly in the wind. The music and the style of dancing may be anachronistic to the time period, but who cares—its purpose is to move modern audiences with the same elation Barnum brought to the audiences of his day. The songs are toe tapping, upbeat, and dazzling from opening bang to big finale. 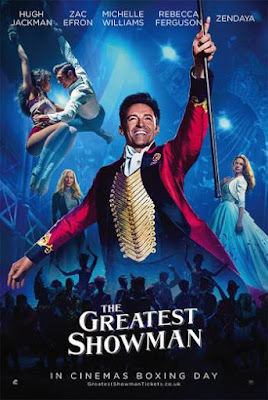 The Greatest Showman spends no time agonizing over the realities of Barnum’s methods, or the treatment of animals, or mid-way con artists, or any of the politically correct hindsight we use to guilt those of whom we do not approve today. But those things are part of another movie, one I would not have paid to see. I paid to be caught up in the promised joy of the fantasy world so brilliantly created by this spectacle of an experience. It is what the film Moulin Rouge failed to be because this film ultimately has warmth and heart and, most importantly—joy. While The Greatest Showman does—unavoidably—have a politically correct message about diversity and acceptance, it is far more about vision, belief, and friendship. 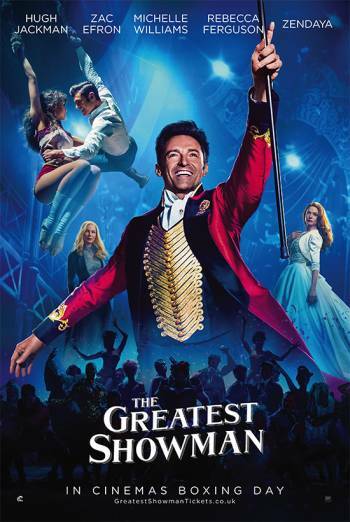 It also has something else very special, Hugh Jackman—the ringmaster who never slows, and effortlessly makes us all part of the fantasy. 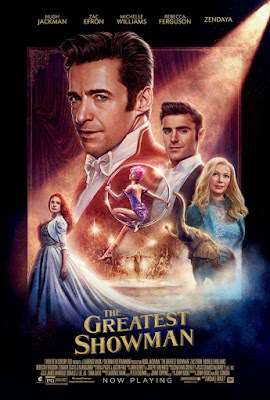 Zac Efron holds his own as Jackman’s second in command, and the cast of characters led by Lettie Lutz The Bearded Lady (Keala Settle) and Tom Thumb (Sam Humphrey) embrace their spectacular performances with everything they have to give. *Fair warning. The above is my opinion of what I feel is a wonderful film. Your mileage may vary. Having agreed to that point, any obnoxious comments left below will be deleted.